Data balloon is an installation that is designed to identify the needs, significances and gatekeepers of communication between individuals in the society. The installation was placed around Monument Station. 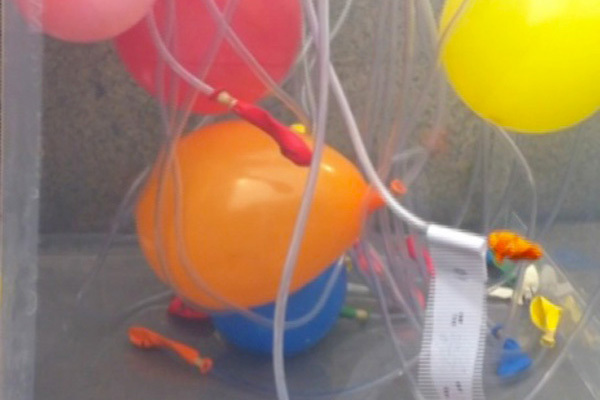 The passengers were invited to blow up the balloon through tube out side of the box. The breathes and time were recorded. There were 20 people participated. The idea behind is to discuss about the relationship between individual and mass and how they communicate. The box, balloon and tube represent collective force, individual as well as media. Published on October 31, 2013 3:39 am.